Fallout4 Nexus, drdanzel. 16 Mar 2016. 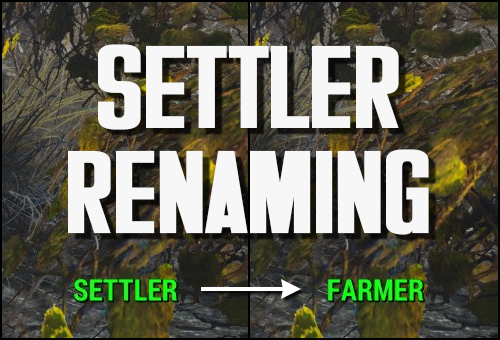 Settler Renaming - Rename Settlers and NPCs. 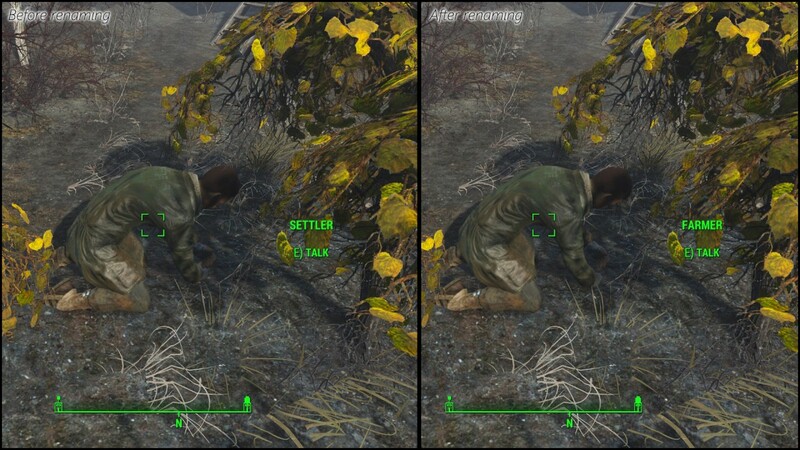 22 Nov 2015 <https://www.nexusmods.com/fallout4/mods/2017>. Fallout4 Nexus, DMKI. 29 Aug 2018. Covenant ownership fix bat. 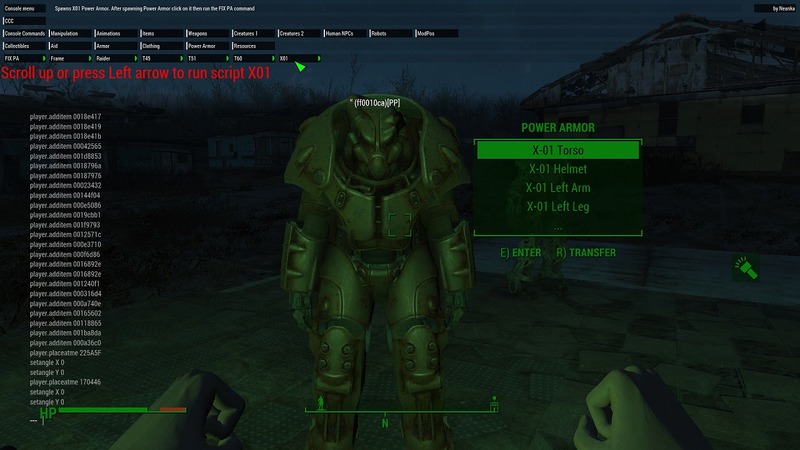 29 Aug 2018 <https://www.nexusmods.com/fallout4/mods/34400>. Fallout4 Nexus, KevKiev. 15 Jul 2018. Essential NPCs - Batch File. 5 Dec 2017 <https://www.nexusmods.com/fallout4/mods/28305>. 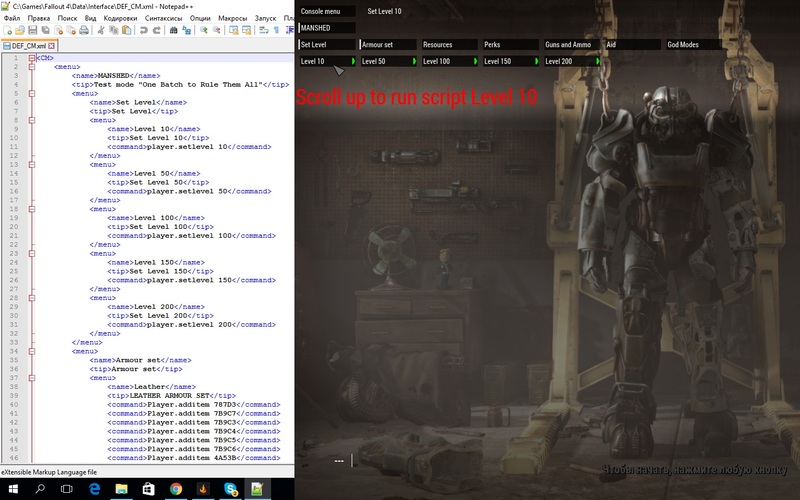 Fallout4 Nexus, DOOM. 16 Feb 2016. 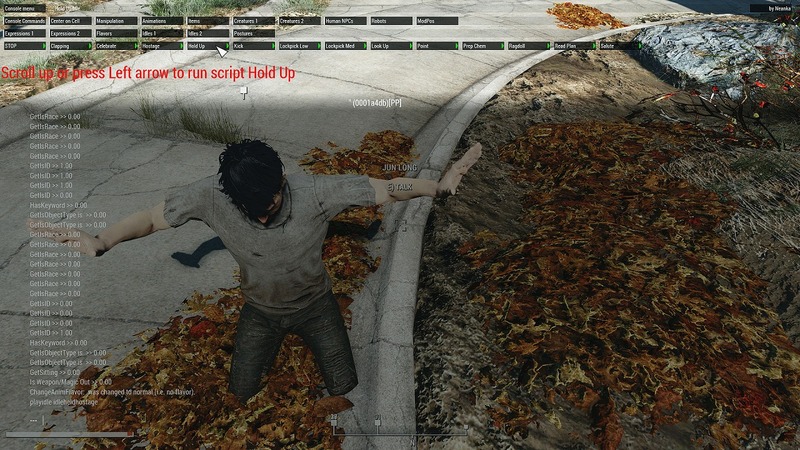 Console Commands Compilation for DEF_CM. 2 Feb 2016 <https://www.nexusmods.com/fallout4/mods/9364>. 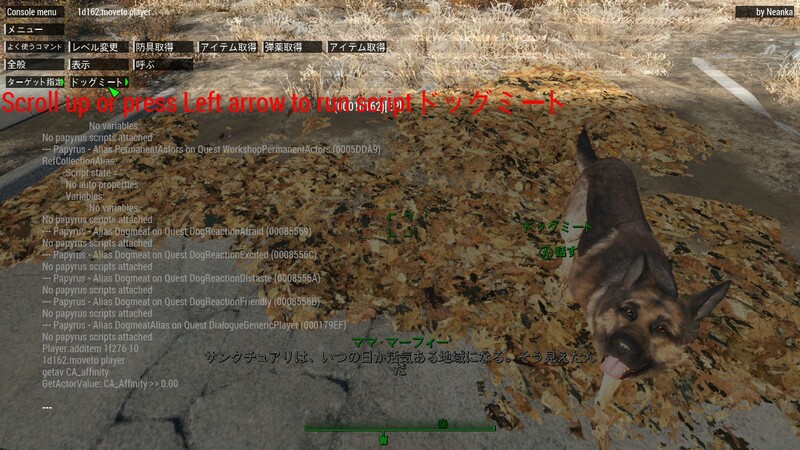 Fallout4 Nexus, ReizoCain. 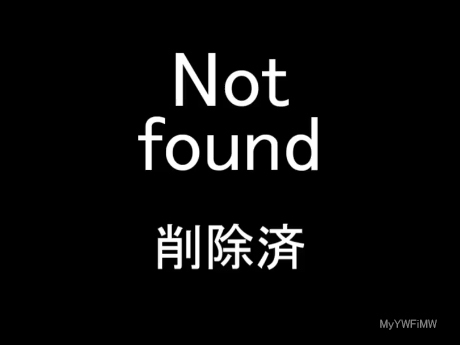 15 Nov 2015. Essential Perks. 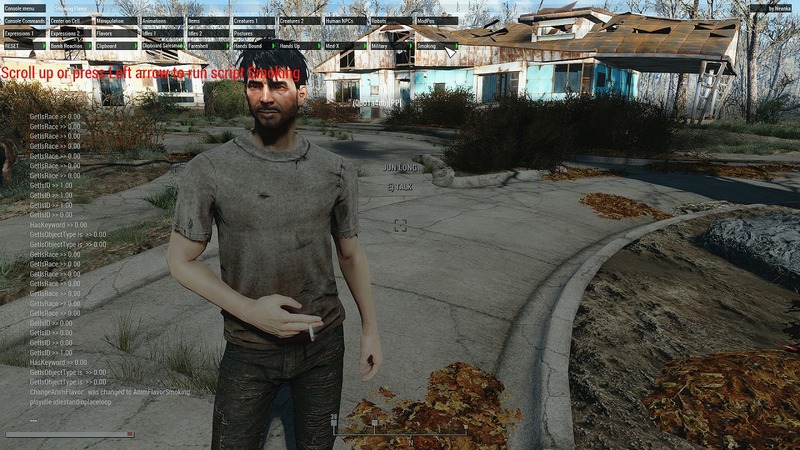 15 Nov 2015 <https://www.nexusmods.com/fallout4/mods/564>. Fallout4 Nexus, Neanka. 17 Feb 2016. 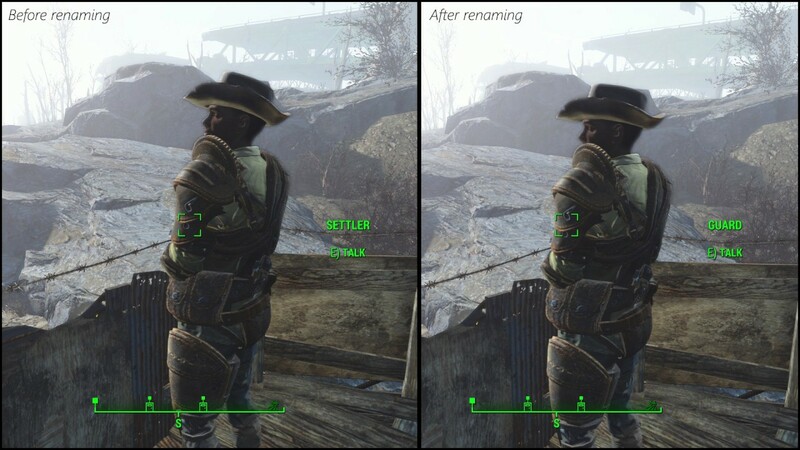 Settlers Renaming Console Menu. 16 Feb 2016 <https://www.nexusmods.com/fallout4/mods/9972>.